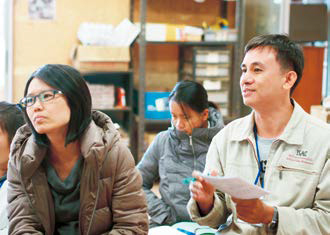 Participants in the exchange program undergo practical training at the Asian Rural Institute. Participants learn the delivery system of assorted vegetables to individual customers. A Thai rural development NGO, named SAFT; Sustainable Agriculture Foundation (Thailand), has begun city farming involving not only farmers but also consumers, children, and urban residents in recent years. 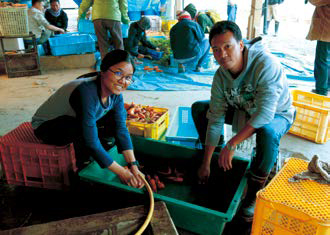 JVC provided an opportunity for 12 young NGO staff working in SAFT and other organizations to learn about framework and practices of the organic farming movement in Japan. The program ran for 12 days, and they visited a consumer cooperative, young farmers’ groups, allotment gardens, and an educational institution which fosters the rural development leaders. Thai participants realized that the relationship between farmers and consumers, which Thai NGOs has been cultivated so far, was based on “Buying and Selling” only. When the role of farmer was only producing safe foods for the consumers, the relationship would be easily broken if the goods have a hidden defect. A clear example of this broken relationship occurred when Japan experienced the 2011 earthquake and the nuclear accident that accompanied it. Thai participants also learned that rather than separate these stakeholders, both farmers and consumers are regarded as “stakeholders on food security”. This is because consumers are able to learn about the processing of food and realize the value of agriculture through participating in allotment gardens. 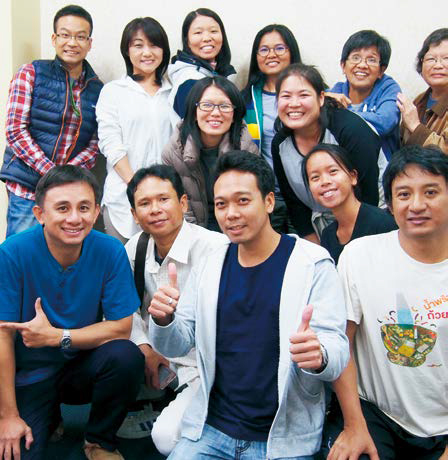 Regarding food security, Thai participants and JVC were able to start a conversation among Thai NGOs on how “producers” and “consumers” should hold hands and build good relationships through this program.